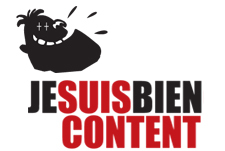 Je Suis Bien Content is a French animation studio founded 20 years ago by Franck Ekinci and Marc Jousset, who came from the creative side, as former animators, story-boarders writers and directors. Next to some best-selling international TV series such as Boyster, the company also has a track record in short animated features and movies, including the 2014 Annecy Cristal awarded as best animation theatrical feature, April And The Extraordinary World. Peekaboo is the Spanish producer behind I Elvis Riboldi. The company was set in Barcelona in 2015 by two animation specialists. producer Iván Agenjo and creative director Javier Galán, who met one each other while working at the TV division of Spanish publisher Edébé Audiovisuel. MondoTV is the French subsidiary of Italian animation company Mondo TV, founded ten years ago by former broadcasters’ top executive Eve Baron who served as programmes director of kids channel Canal J, as well as director of France 3 children programming. Among MondoTV France’s animation series which met success in France and abroad was the little turtle, Lulu Vroumette. Headed by Danielle Kadayan, SofiTVciné, is among the most active of French tax-shelter companies the Soficas, which are some equity and investment vehicles targeted at the entertainment content industry. Since its creation in 2012, SofiTVciné has stepped in 80 theatrical feature films and 39 TV series, including a good deal of animation, thanks to the genre’s good export performances. SofiTVciné has decided to go a step further in backing Kids First’s risk taking in third-party content which shows a strong potential abroad, introducing a minimum guarantee deal models suited to the distribution activity.